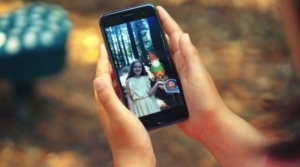 Weston Park has worked with Stoke-on-Trent based video and production company Inspired Film and Video and app developers ohh-AR to create a unique augmented reality experience for families this summer. The Enchanted Glen is an augmented reality trail that brings the fairy world to life for children through the use of a mobile app. 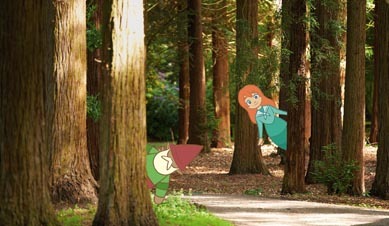 Visitors download the app to reveal a series of magical AR characters as they explore the country estate’s beautiful woodland. 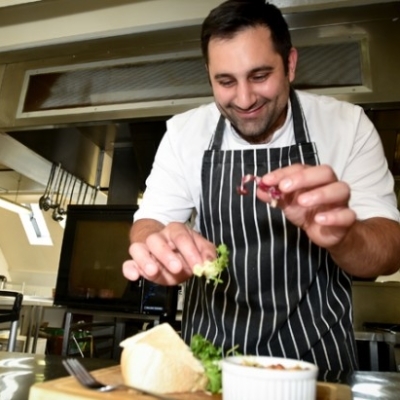 The developers delved into Weston Park’s history for inspiration, uncovering the original fairy stories and poetry of Lady Diana Bridgeman, which she wrote exactly one hundred years ago whilst she was a young girl living at Weston Park. As well as being a talented writer, she was also a gifted artist, creating an entire realm of fairy folk, which made a perfect subject matter to create an AR experience that connected to Weston’s story. Our brief to Inspired and Ooh-Ar was to use AR technology to create something magical that would encourage new visitors to Weston Park, as well as encouraging repeat visits from families. The Enchanted Glen has completely delivered on this and we’ve been getting amazing feedback from visitors who are delighting in this as a way to explore our grounds, and to discover our fairy friends. and the gleaming wings from each slender shoulder set? I knew them well, the little people, who haunt the dells and glades. 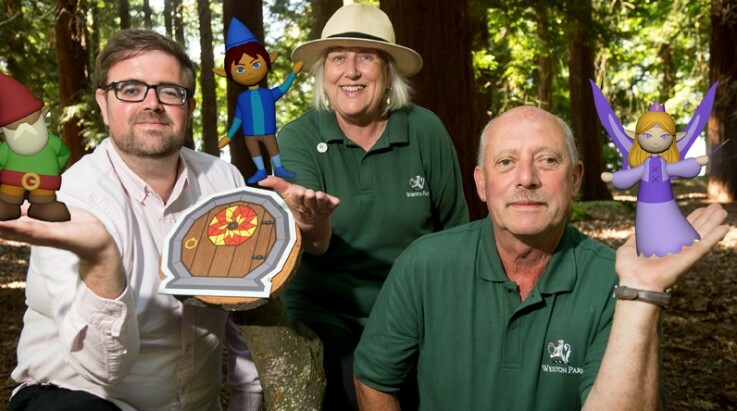 Thousands of visitors have enjoyed making new friends in Temple Wood this summer with over 6,000 selfies being taken during the summer holidays. This is only the beginning of the Enchanted Weston experience. Visitors to our Enchanted Weston illuminated forest experience will meet more new magical friends who have made Temple Wood their home for the winter. Do you believe in fairies? Take a walk through Temple Wood with your phone and snap a selfie, with a gnome!